A second set, but request, but this time I use Eyes by bailelizabeth here. It was such a beautiful set that I had never saw until some one requested that I make contacts. Again, all textures were made by bailelizabeth and full credit goes to her, all I did was take her texture and make them contacts. 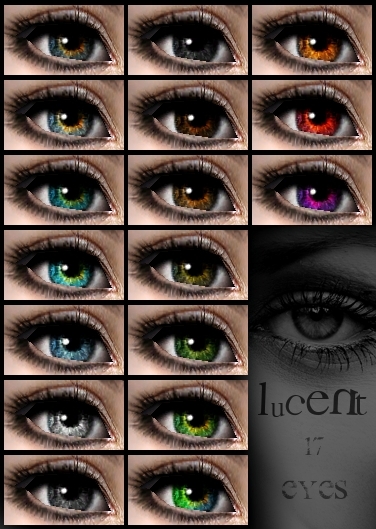 IMPORTANT: All textures are completely by Bailelizabeth, I just made them into contacts. I did next to nothing! Also, all screenshotstaken by Bailelizabeth. Bailelizabeth for the wonderful textures! Everyone has help to build MTS2 to what it is today, from the moderators to the creators that uploaded their first creation a few moments ago. Thank You! 1241 people have said thanks to Vampire_of_Death for this download.